You, precious Mother, are the hero of this miraculous story and your legacy that lives on, now beats inside my daughter. 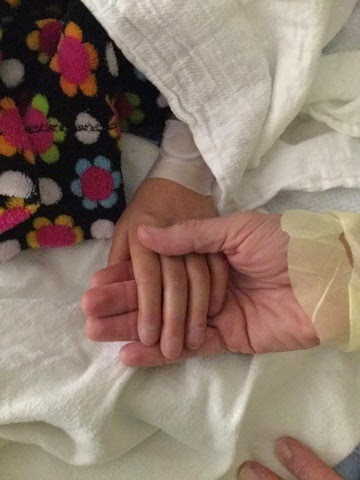 Without your gift, my daughter could not live and before long, I would have joined you in your loss. Instead, on this Mother's Day, I am celebrating new life. But I want you to know, more than anything, that I have not forgotten you. I will never forget you and the imprint you have left on me will never fade. With your signature, you released the one you love and with mine, that love was received. While others slept, I counted minutes with you. I knew precisely the hour your precious child took their last breath and you were releasing your gift and making it mine... We waited outside in the wee hours of the morning to honor the arrival of your gift in an ambulance from the airport. I thought of little else but you... My heart ached for yours as we waited and when it finally arrived and I followed the precious cargo into a back door of the hospital and down the hallways to the Operating Room where my daughter was waiting, I couldn't hold the pain I was carrying for you a moment longer. I stood in the hallway and wept. You had taken your devastating loss and used it for the good of someone you didn't even know. Your act embodies true love and witnessing the arrival of that love in an ordinary cooler literally brought me to my knees. I remember little about Rachel when I first saw her lying there with her perfect, new heart, except her hands... Her fingers, always blue and chilled from the lack of blood flow, suddenly pink and warm. Those hands symbolized the gift she had been given... the one you gave... and again I wept for you. I doubt that I will ever look at the beautiful hands of my daughter and fail to remember you. When the monitors play the rythym of your child's heart, I think of you again and the sound of your child's heart thumping healthily in my daughter calls out your name, though I don't even know it. In the past months and years, I have memorized the shape and rythym of my daughter's broken heart on the echo's monitor. I would hold my breath as it stuttered and stammered to keep pumping life into my little girl. I have even fallen asleep with my hand on her chest and felt the irregular pounding of her broken heart, wondering how much longer it could beat all the odds. I stood in silence as the first images of her new heart came up on the monitor. It beat in perfect time. It was strong and healthy. It was pumping oxygen-filled blood into the body of my little girl. In that moment, all I could see was your precious child, and your open hands. That heart does not belong to me. It doesn't even belong to Rachel. That heart belongs to you... It always will. In the greatest act of sacrificial love I can humanly imagine, you chose to give that heart away in order to give life to another. I am deeply humbled and I will never forget that this immeasurable gift is a sacred trust that binds us together as mothers. On this Mother's Day, the sting of your child's absence must seem unbearable. But because of you, your child's life goes on and still has the power to change the world through the lives it touches. I promise to treat the treasured heart that you have entrusted to us, as I would my very own. I will nurture it and protect it with everything in me as it beats inside of my daughter. I pray that God will use the life you have shared to impact His Kingdom mightily and that your gift of a beating heart will send ripples into eternity. May the HOPE of Christ shine brightly through the life of my daughter, Rachel, and the miracle story that includes you! You were my first thought this morning and you will be my last as I close this day. I hope you can hear my tear-filled whispers, as I celebrate you today. Oh, my goodness, look at those pink fingers! I don't have the words...! My prayers are with you and the mother of your little girl's new heart. What a blessed mother's day. I don't believe a better tribute could be written. Tearfully thankful that such a beautiful gift has been granted to this beautiful mother! Beautiful! Sitting here with tears streaming. What a mixed blessing all of this is. My heart goes out to the mother who lost her baby. Hugs to you both!